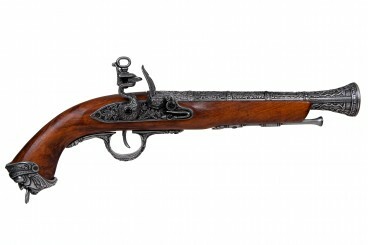 1012 Flintlock pirate pistol, France 18th. C.
1031/G Flintlock pirate pistol, Italy 18th. C.
1031/L Flintlock pirate pistol, Italy 18th. 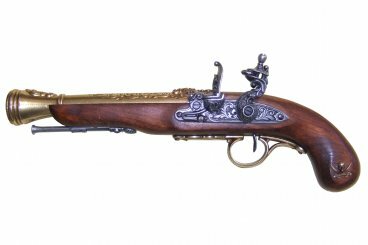 C.
1103/G Flintlock pirate pistol, 18th. C.
1103/L Flintlock pirate pistol, 18th. C.
1104/G Percussion pirate pistol, Italy 18th. C.
1104/L Percussion pirate pistol, Italy 18th. 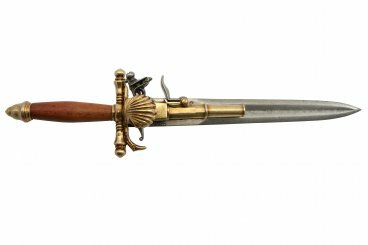 C.
1204 Knife-pistol, France 18th C.